What’s New in the 2019 Jeep Cherokee? As the new Jeep Cherokee arrives at AutoMax Dodge Chrysler Jeep Ram, many customers are wondering how the 2019 vs. 2018 Jeep Cherokee compare. See how they match up in style, features, performance, and more. Styling: The front end of the Jeep Cherokee has been redesigned, with a new look for the LED headlamps, running lights, and fog lamps. There’s new lighting in the rear as well. Jeep Cherokee Trims: In Jeep Cherokee trims, you’ll find new chrome tow hooks for the Cherokee Overland and an increased ride height for the Cherokee Trailhawk. It’s a smart pick if you’re headed off road outside of Midwest City. New Engine for 2019: Continuing a legacy of strong Jeep Cherokee performance, a new 2.0L 4-cylinder engine puts out 270 hp and a massive 295 lb-ft of torque. Expect strong fuel economy as well. Interior Changes: While the Jeep Cherokee interior is largely the same as 2018, an extra 3 inches of width in the cargo area brings the Cherokee up to 27 cubic feet of cargo room. 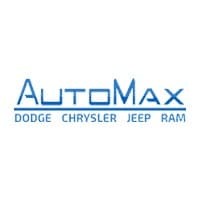 Get in touch with AutoMax Dodge Chrysler Jeep Ram to see how the Jeep Cherokee vs. Ford Escape matches up. We carry a wide variety of Jeep Cherokee performance parts, so stop by our showroom at 4141 N. Harrison Ave Shawnee, OK 74804 near Chandler to see the new Jeep Cherokee in person.